Signal 88 Security is working under contract for the Lorton Valley HOA Community. Under this contract they will strive to assist residents with issues like solicitors, loitering, street light outages, dog walkers who don’t pick up pet waste, to name a few items. Their uniformed associates will observe, document and report incidents and make a presence in the community that offers enhanced security vigilance. If you observe minor infractions of solicitors, pet waste issues, loitering, vehicle repairs on street, etc., you contact Signal 88 Security at 703.665.1263 ext 1. If a Signal 88 Security associate is either on the property during a regular patrol or has a vehicle in the vicinity of Lorton Valley, they will dispatch a vehicle to investigate. Again the number is 703.665.1263 ext 1. If you observe serious issues, crimes, medical emergencies or fire, immediately contact Fairfax County emergency services at 911 or Fairfax County non-emergency concerns at 703.691.2131. A multitude of violation letters have been mailed out recently with the topic being the requirement for keeping Post Lamps operational. This can be something as simple as bulb replacement to having to replace the photo sensor. Keeping the Post Lamp in operational condition includes the following. -- Replacement of all burned out light bulb(s): If only one bulb is burning and the other 2 or 3 are not, you must replace the burned out bulb(s). Light sources must be “white” or incandescent. High-pressure sodium (yellow-orange) lights are prohibited. Flashing lights of any color are prohibited. LED lights are a great option for their longevity, but should be the lowest possble wattage (15-20 watts) to minimize glare. --If the light does not come on at night: Replace the photo sensor and or check to see if the GFI (Ground Fault Interrupter) is tripped. The GFI controlling the Lamp Post may be found in one of several locations: in the garage on a wall socket outlet; or in the electrical panel breaker box usuually located in the utility room, or on the wall just inside the utility room. If after these possibilities are ruled out, you may have a break in the line and you should contact a professional to repair. --If a light stays on during the day: Usually signals that you need to replace the photo cell. Photo cell kits are available at any home repair/project store for minimum cost. And are relatively easy to replace. --If your overall light fixture requires replacing (rusted, broken): You must replace with a new light fixture matching both the fixture being replaced and the light sconce on the side of the house near the main door. (Note: Only replace light fixtures with an existing type, style, size, color and consistency of the old fixture. You may have to go online, find the matching model, and order as most are not found at a local hardware store). Note: If you are still in possession of your original buyers binder, information on the outdoor lights (make, model, etc.) are located there. Keeping your outdoor lighting in good operating conditions enhances the security of your home and helps in ensuring the well-being of our community as a whole by presenting a well-kept and uniform appearance. 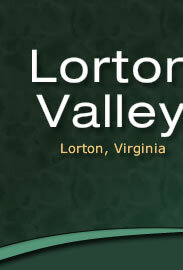 The Lorton Valley Community has many residents with pets in their families. Please curb your pets and keep them on a leash at all times. Dog waste stations are provided throughout the community. Without valid feedback from the community, I cannot issue a notice to the responsible resident. Reporting names will be held confidentially. Send this information to the Customer Service Center 703.385.1133 or voice mail to me at the same number ext. 516 or email randy.kline@fsresidential.com. or stop by the Onsite Managers Office at the Lorton Valley Community Clubhouse, 9380 Windermere Hill Dr.
For further information on this issue, visit the Lorton Valley Community website at www.lortonvalley.com Thank you for assistance on this issue. Street Sweeping will be Monday April 2019 starting at 7:00 am. All streets and parking lots should have vehicles moved to garges or drivways so a complete cleaning can be accomplished.